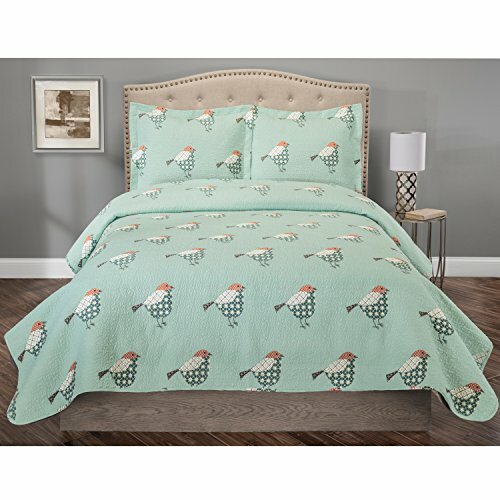 Surround your place with this amazing and beautiful sparrow themed quilt set. The colors are so relaxing and very had a very interesting design on it. This is very nice to look at and so stylish too. Set Includes: 1 Quilt, 1 Sham, Machine Wash.